Went to the range today, took along some of this remanufactured ammo. Midwest Ammuniton, (9mm 115gr. RN) made in good old Hamilton, Ohio. My wife picked up a box for me at a small mom and pop gun shop when she bought my shield for my birthday, another box I got from a member here in trade. I'd rather fire Brown Bear than this stuff. I had Federal, Winchester, Remington, and this stuff. Not only did this ammo hit approximately 1.5" - 2" lower than all the other brands at 25 yards, it didn't really clear the area on ejection. Don't get me wrong, every round fired in both my M&P9 Fullsize, and Shield 9. But in both weapons, it barely had enough energy to run the slide. I had multiple spent casings land on my hand. Sadly disappointed, and I cannot find contact info for the manufacturer other than an agent address in Cincinnati. Have one more box of this junk left. Suppose I'll use it for something. Maybe in the next ammo crisis it will draw a premium. Thanks for the report. That brand's biggest customer may well be the Point Blank ranges here in Cincyland. If buyers there have those same problems with it while on the firing line, the negative feedback will be rather instant, and surely passed on to the manufacturer. These things have a way of working themselves out, eventually. The box is upside down! Did you insert the cartridges upside down? Brian D. wrote: Thanks for the report. That brand's biggest customer may well be the Point Blank ranges here in Cincyland. If buyers there have those same problems with it while on the firing line, the negative feedback will be rather instant, and surely passed on to the manufacturer. These things have a way of working themselves out, eventually. I'm not real knowledgable about reloading but I would say that all they need is a few more grains of powder. Hey don't get rid of it..I use it for my girls to use to the 9mm..Recoil low..? "Our government... teaches the whole people by its example. If the government becomes the lawbreaker, it breeds contempt for law; it invites every man to become a law unto himself; it invites anarchy." Splat!! wrote: Hey don't get rid of it..I use it for my girls to use to the 9mm..Recoil low..? 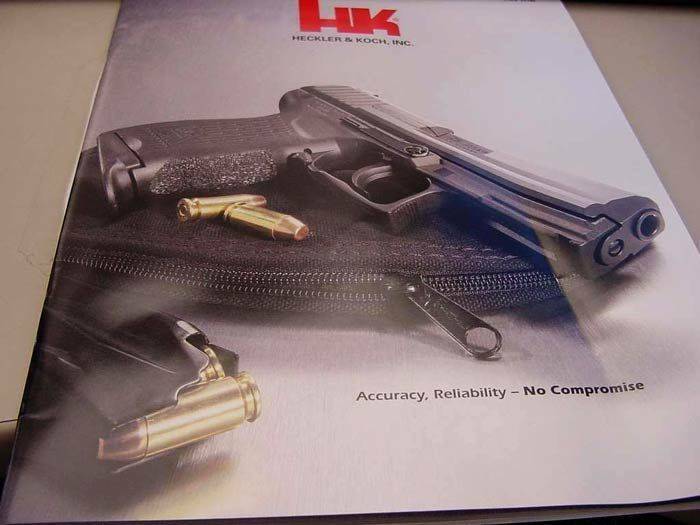 Mail me the magazine, I'll shoot the HK. They should brand themselves as the company who puts their money into making quality firearms...at the price of bad advertising materials! Never let your wife (or girlfriend) pick out your ammo, anymore than she would let you pick out her purse item. 'CAN' does not equal "SHOULD'. Seriously though, I have not had similar experiences although I am only two boxes in (9mm). Maybe I have just been lucky? Working on a Sig line. So far, I have a P250, a 938, and an Ultra! Hehe, how's that rodent problem? They seem to have wised up and taken to my neighbors yard.